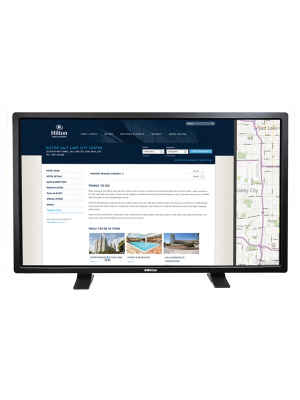 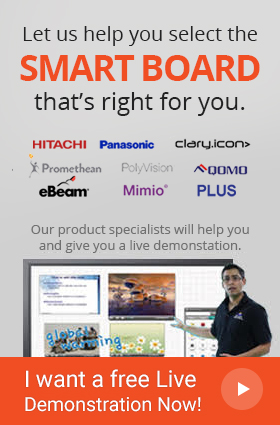 The 3M interactive multi-Touchscreen display C4267PW is a 42” display that features 3M’s high performing Projected Capacitive multi-touch technology (PCT) along with a robust all steel but sleek glass chassis display. 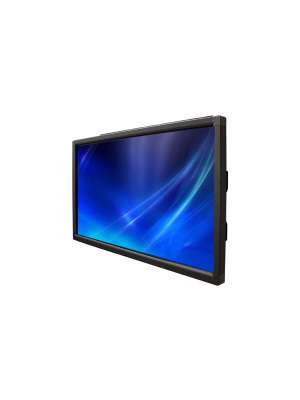 The C4267PW interactive Touchscreen has the ability to deliver precise and accurate 60 finger touch points at an ultra-fast 12ms response time providing smooth and effortless multi-user experience. 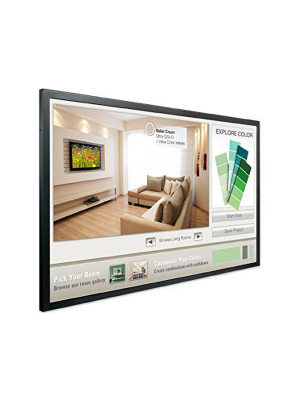 Furthermore, the premium HD resolution clubbed with high contrast ratio, wide viewing angles and LED backlights deliver true to life and sharp image quality .In addition to this, the C4267PW Touchscreen’s sophisticated and durable flat front surface design is highly appealing and best suited for elegant and modern environment. 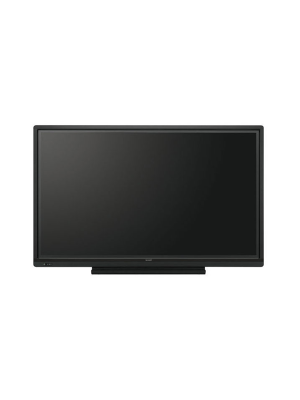 (1)Brightness measured on a display with 3M™ Projected Capacitive sensor.